Daryl Johnson (Worcester Park, United Kingdom) on 15 September 2014 in Architecture. 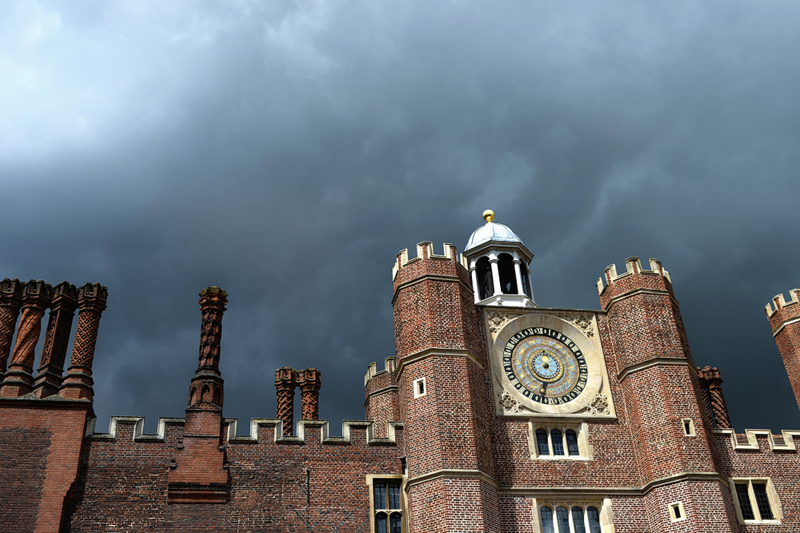 A final image from Hampton Court, with threatening skies looming... a memory of another English summer. Ah, yes, one of those summer moments when we know for sure we are in England ! @Ronnie 2¢: That's right Ronnie! Coming out very nicely on this stormy sky Daryl! Cool shot! I enjoy those chimneys and the clouds.